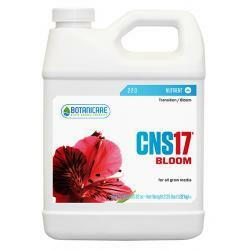 CNS17 is the result of an innovative technology that allows us to produce a professional strength, one part nutrient with all of the required mineral ions in correct balance. 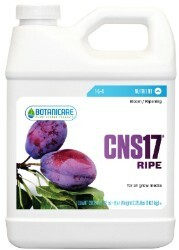 Originally developed as a professional grade nutrient by renowned scientist Dr. Lynette Morgan, CNS17's revolutionary suspension technology utilizes polysaccharides in a proprietary process that makes it possible for all 17 essential plant nutrients to be contained in convenient single bottle formulas. Once diluted in water, these simple sugars hydrolyze and provide the added benefit of becoming a highly available energy source for beneficial microbes and plants. No other product offers such a complete range of elements in a single bottle while priced at less than half most major competitors. 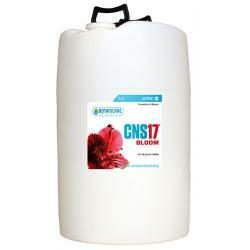 CNS17 is a high yielding, low cost nutrient that provides everything plants need in single grow, bloom, and ripening formulas.